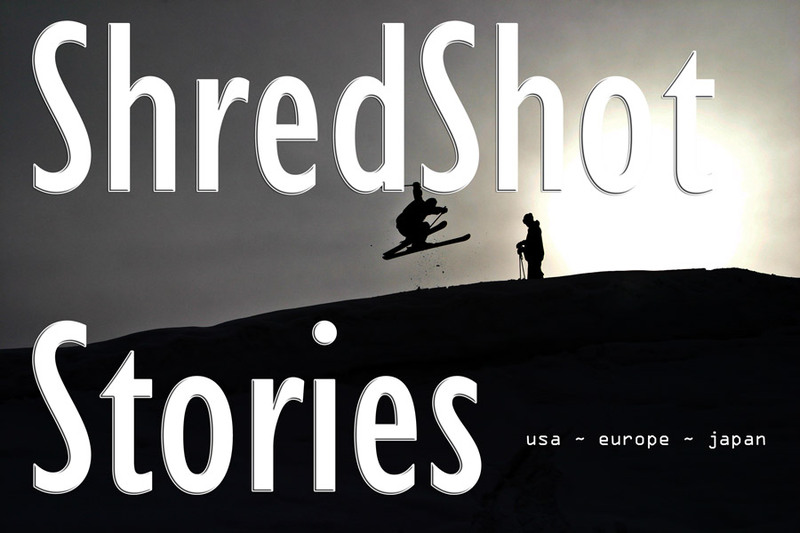 Skiing & snowboarding in the US isn`t only about Colorado, Montana, Utah or other high-mountain Western destinations. That`s where you`ll definitely find some of the world`s best snow sports destinations, but these Eastern US ski areas on our short-list are well worth a visit for regional residents, travelers passing through or competitors looking to step-up their game. Check-out three of our top US ski & snowboard resorts across the Eastern United States in Pennsylvania, West Virginia and Vermont. Killington is one of the best all-purpose ski areas on the US East coast. It`s the largest ski area in the East, so crowds are to be expected, but great vertical, steepness, resort amenities, off-slope entertainment and guaranteed snow quality make it worth waiting for a lift (22 total lifts). “The Beast” defies notions that only Western US ski areas get all the powder days. Killington has excellent natural yearly snowfall totals — 250in/635cm — and snow-making infrastructure capable of churning out one foot of fresh snow per hour across 80% of its of terrain (752ac/469ha). East-coast-ice rears its ugly head now and again, but ankle-deep powder or fresh packed corduroy is usually the norm. Moguls are big deal here too — literally. Outer Limits, dropping below the Bear Mountain Quad to far skier-left of the resort, is the steepest, most challenging mogul run in the Eastern USA. With seventy-one miles (135km) of trails for all abilities, high elevation (4241ft/1293m), excellent vertical drop (3050ft/957m), multiple terrain parks for freestylers and a money back guarantee on your lift pass if not satisfied with snow conditions, Killington is an Eastern US ski area every skier/boarder will appreciate. Burton`s head office is within 1.5 hours drive, so you know there`s an emphasis on world-class mountain resort facilities. Killington doesn`t disappoint. Apres ski options won`t let you down either. A drink at the Wobbly Barn or Pickle Barrel is a nice way to finish off your day shredding New England`s king of snow resorts. Appalachia — stretching North to South from New York into the southern USA across 12 states — is easily overlooked as a skiing-snowboarding destination. Although annual snowfall totals, rideable area and verticality at ski areas in this region can`t normally compete with snow zones in New England (e.g. Vermont, New Hampshire) or in the Western US (e.g Colorado, Utah, Montana, Washington), Snowshoe Mountain — a little gem tucked into the rugged Allegheny Mountains of West Virginia — delivers a big mountain vibe amidst the comparative surrounding hills. Snowshoe receives upwards of 200in/500cm of yearly snowfall, has a 1500ft/457m vertical drop and provides 100% snow making coverage across 3 riding areas (250 acres/101ha). All ability levels will be happy on the trails and off-slope activities (leisure or adventure) are plentiful. The ski area is surrounded by national & state parks, making it somewhat remote and challenging to access, but outdoor lovers won`t want for anything no matter which season you choose to visit. The Western Territory, off the back-side of Snowshoe Basin, offers the most fun, challenging lift-served terrain in this part of the US. Legendary French ski racer, Jean Claude Killy, designed one of the runs (Cupp Run) and the other, Shay`s Revenge, has a gradient of 50+°, making it a wicked fast descent every time (especially if man-made ice conditions prevail). 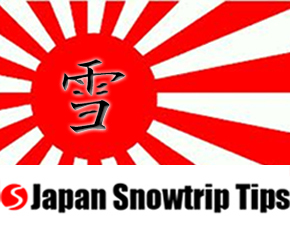 But you don`t need to be a French Olympian to enjoy the groomed pistes at Snowshoe. Families and kids will feel at home at the separate Silver Creek area of the Snowshoe Mountain. Snowshoe, West Virginia, isn`t the Rockies, but it`s about as close to a Rocky Mountain high that you`ll get at an Eastern USA ski resort. Seven Springs Resort in South-western Pennsylvania, is a little ski hill with a lot of heart. Located in the Laurel Highlands, it serves as PA`s largest ski area and has quietly become one of the Eastern USA`s most renown four-seasons resorts. 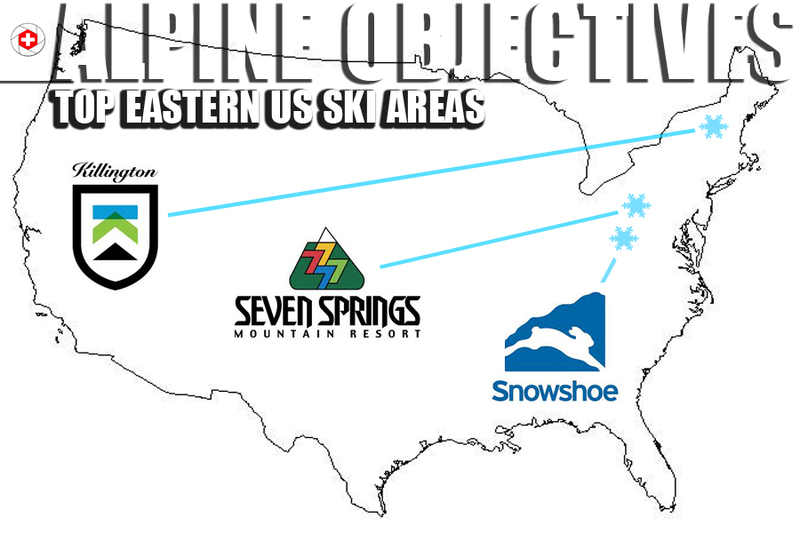 Although having less vertical (750ft/228m) & snow accumulation (135in/342cm) than its West Virginian neighbor above, Seven Springs offers excellent infrastructure, amenities, off-slope activities and snow-making capabilities, leading to consistent national recognition as a prime Eastern US skiing-snowboarding destination. The Seven Springs Snowsports School has one of the highest ranked children`s programs in the country making the ski area a major draw for families. But it`s not all child`s play in the Appalachians. Seven Springs is one of the premier freestyle destinations in the Eastern US, having received multi-annual acclamations by Transworld and Ski Magazine for park & pipe design. There are seven (7) terrain parks at Seven Springs, ranging from features for first-timers, to an Olympic-size 22ft. half-pipe, to Forum Snowboarding`s unique “the Streets” freestyle park with its urban-inspired landscape. With relatively high regional elevation (2994ft/912m) and yearly snow snow totals often sufficient enough for winter operations from mid-November into April, it`s possible to enjoy ski seasons of more than 100 days at this large, mid-Atlantic ski area. Although more snow is always desirable, snow quality is generally quite good, giving you a taste what Colorado champagne powder is like on the best days (in smaller doses of course). Lack of vertical aside, trails at Seven Springs are wide, fun for all levels and maintain enough steepness — especially on cold, flood-lit nights on East coast ice — to get your blood flowing. Proximity to one of the US`s most dynamic cities within 1-hour, Pittsburgh, as well as reasonable half-day driving distances from Philadelphia, Washington, D.C. and New York City, make Seven Springs a great option for big-time US snow competitions in the park, family-friendly cruising under the sun or low-key romantic getaways. Besides, any ski area with a bar named the Foggy Goggle is high on our list.